My name’s Mattia and this is my story. Hello everybody! I wanna take this little space, to finally introduce myself to all of you guys who have been following and supporting us in the best way possible! Thank you so much for that! My full name is Mattia Sampaoli! I was born in Italy in the small city of Ravenna (Northeastern coast), but after a while struggling to find a job in my country after graduating, I had chance to move to Poland, in Krakow, where I lived for the past two years and two months. Before relocating there, I had started already my very first approach to bodyweight trainings having all the motivation taken from the classical and very first Hannibal for King clips found on YouTube. That was the biggest choice I made so far; since then, my destiny gave me a great chance to meet such a special guy as Darek is. One of my best friends from there, with whom I had chance to share some very special moments regarding Calisthenics workouts and the development of the whole project Caliathletics and that goes on more than ever, today! Sooo, I can surely say that I had chance to see the project growing since when it was born and improving day by day until today! When I became part of Caliathletics. I met Darek my very first time in June 2015 when I had just relocated to Poland from Italy and of course, the first thing I did was…looking for a fine spot where I could train outdoor! Haha! It didn’t take me that much to accomplish this task since I was so lucky to have one just 10 minutes-walk from my flat. So I started going to this park and training there until, one day, while I was training hanging on the bar on one side, a guy came on his own to train too and started to warm up straight in front of me, at the opposite bar. Just few minutes observing one another and the first approach came natural to both of us. We started talking for so long, immediately sharing all we knew about this beautiful sport! But, let me say one thing straight guys! Darek was at the very beginning of his Calisthenics journey and having the chance to see how fast he improved in just that one summer, left me astonished and wordless! Since that day, a beautiful friendship was born! I could’ve never expected to have such a great chance in my life, since I consider my friendship with him as well as the opportunities he has been giving me to be part of this beautiful family, as the most precious treasure I have. All this made me a richer person inside, it helped me growing and becoming wiser in my way of thinking and in my daily workouts! Considering that I am now 31 years old and despite the difference of age that we have, this aspect has never been an obstacle to the great cooperation we’ve been having and the awesome results we’ve been achieving together. How I got into Calisthenics the very first time. Now, just to let you know something more specific about my past life, my adolescence and my knowledge about the way of living with sports, I can truly tell you that without it I simply can’t live! It has always been a priority to me, including the practice of a sport in my daily routines since when I was a child. At that time of course, to provide me with the initial motivation and understanding of how important is for our lives to practice sports in general, was my father. My biggest motivator and example of how, the practice of a sport, can lead you to stay healthy no matter the age, no matter the physical type you can have and all the possible injuries or diseases you can meet along the way. I started by playing tennis for over 12 years and going then into teaching as tennis instructor inside different clubs where I used to switch year by year, in my town. After that very first solid experience, I came to a point where I felt the need to change my way of training and going for a whole new different path. That’s when I decided, just turned 18, to start going to the gym and lift some weights not to get bigger, but just to maintain my body and strengthen it. Later on, I also included a year of breakdance since I was so attracted by this sport as well and I really wanted to try. Together with lifting weights and breakdance, I also started playing amateur basketball and the more I was playing the more I was sure about how cool that sport was. Unfortunately, from 18 until 25 (more or less) I always played a lot without much knowledge in terms of which could be the most common injuries you could meet while playing basketball without proper techniques. Because of that, one day I started to have a terrible pain in my lower back until the point that for two days straight, I wasn’t able to move freely as before and I panicked a bit; I was so scared I would’ve never been able to practice any other sport. After having the proper checks, turned out I had a herniated disk in the most classical part of the lower back that is L5-S1, plus also a disk protrusion. These injuries didn’t come out of nowhere, but simply because in my carrier as amateur basketball player I liked a lot to jump more and more without the proper technique and mostly, without progressively strengthening the part more urged that were the legs and so knees and lower back as well. After this terrible moment I had, thanks once again to a wise suggestion of my father, I started going more for swimming (I had already started since when I was 19) and I started as well to practice with more attention and dedication stretching and mobility later on focusing on learning how to breathe with the diaphragm. At the same time, the next sport that came through was bodyweight training. That was the moment I enjoyed so much, what I was finding out and how dynamic and creative this way of training was and is. I started documenting myself more and more thanks to the very first clips that were available at that time on YouTube. Since then, my journey began and I started to become wiser and more aware of which were my body’s limits, what I needed to do in order to improve myself and do much more than I had done until then. 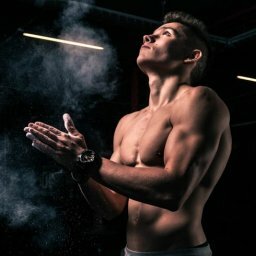 I started to become more and more addicted to it, until I came up with the idea to get a certification in Calisthenics so to become a trainer and finally make my little dream come true. That was the moment I also started to find out where I could get in terms of mobility and flexibility as well as in terms of strength, in my whole body. Since that time, my mission until today has been always training wisely, aiming to perfection in whichever movement I do no matter how hard it can be or how long it can take me to achieve it. 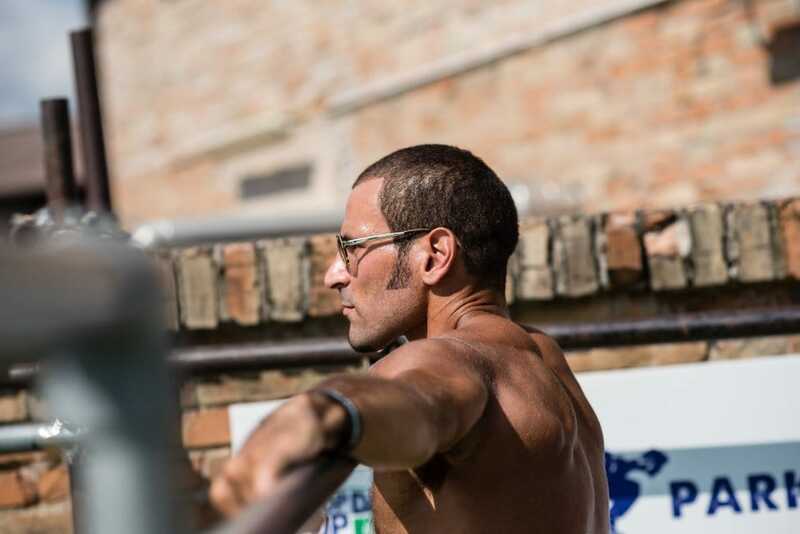 Training with Calisthenics is another way of living that is not about competing with the others, but talking constantly to yourself in order to discover new limits and take out the very best of you. Mentally, it helps you to “deload” your mind from all the bad thoughts, pressures, negativity you can meet in your daily life and helps you to always find out the positivity you need so to go on and make also the worst days, somehow productive because of the workouts you have. How I became stronger thanks to Calisthenics. Training with Calisthenics helped me to recover completely from my bad injuries in my lower back until the point that, in 2017, I decided to make one-step ahead and try to train deadlifts as well as squats. Two of the most effective, but also very complex exercises typical of powerlifting. I had no fear for that, since I learned what it means to perfect firstly the technique and only after, starting progressively to increase the way of performing that exercise. By doing so, later on, I was able to deadlift up to 130 KG and 120 KG with squats without accusing ANY pain in my knees as well lower back. I felt so powerful, so motivated to keep going on and do even better than that, that’s when I found out how important and fundamental is the practice of stretching and mobility. Without them, none of the results I achieved would have been possible, I can guarantee you!! Simply because training wisely doesn’t mean lifting weights or perform any Calisthenics skill without any form and technique, just to show yourself up, but means first of all, to think and practice that movement until it becomes natural. Only by doing that, then when you get stronger and add more weight (in case of lifting weights) or going to a higher level of difficulty (in case of Calisthenics skills), everything will be nicer to see and people will admire, first of all, the form of execution because the eye wants definitely its part! Ok guys, that’s it! Here you have my story and I hope I’ll be able, thanks to my knowledge and experience I keep gaining, to provide you with all the best contents so to help you become better than you already are, mentally and physically!